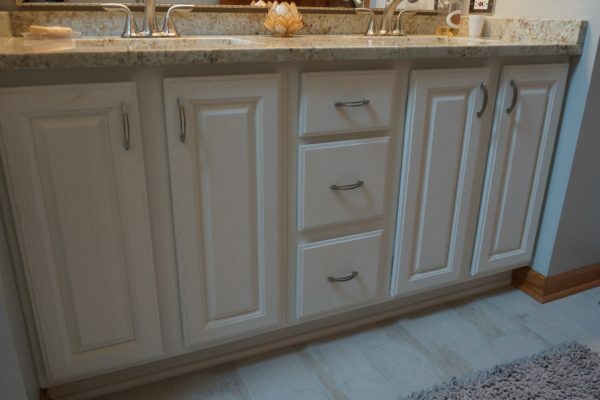 We can finish your cabinets to a factory finish for 1/4 the price of replacing your cabinetry. 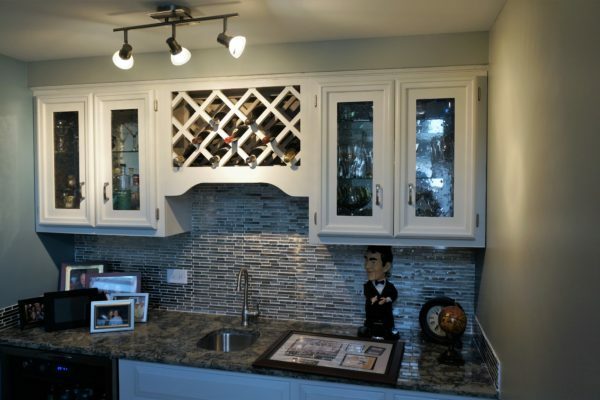 Additionally, you will get your same ROI as buying new cabinets. We take what is already working in your home-your style and help you update it with the latest colors and techniques. Rapid Refinish clients on average are completed in 3-5 days. You will still have unlimited options in colors and finishes, and will have full access to your kitchen during the entire process. Thank you Michele and crew for the amazing transformation of my kitchen cabinets and master bath vanity! 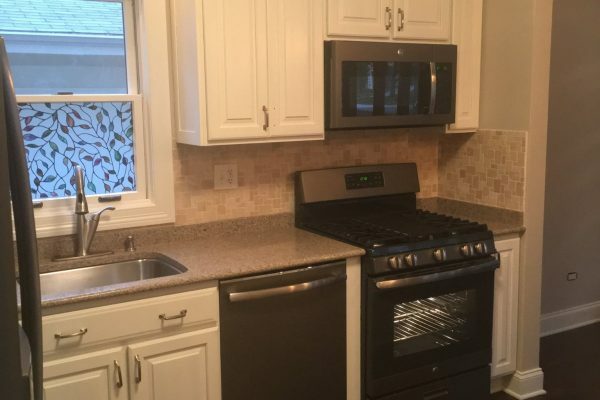 The gray is gorgeous and I can’t wait to share pictures when the backsplash and wall paint are complete. Michele and her team were professional, timely, and dedicated to perfection. They were very diligent and all have a positive attitude that makes them shine. Thanks!! Michele and her crew are amazing! They do breathtaking work and Michele is so easy to work with as well. Extremely accommodating! I am in awe of my newly painted kitchen every time I look at it!! It just makes me happy!! Thanks Michele and crew. Some day you will be doing my upstairs bathrooms!! Michelle, I love the professional job you and your team did. This change has been amazing! Three people already wanting contact info for you so expect some calls! I appreciate the advice as well as your prompt finishing of this project! Made it so easy! Thank you Tupelo Designs for breathing new life into my very dated cabinets. 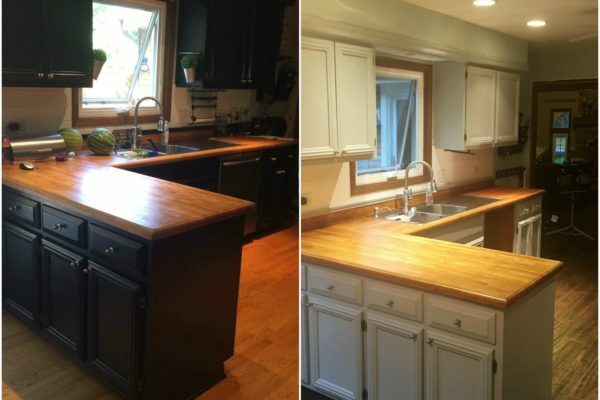 Going from golden oak to a creamy white with a grey island made such a difference. 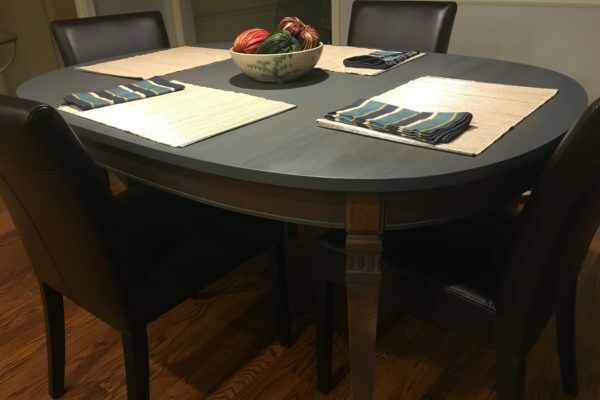 I also love my “new” kitchen table that you refinished. I added new upholstered chairs for a totally new look. 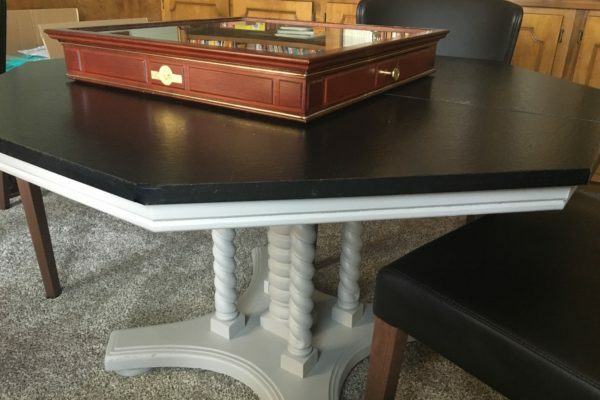 I’m so happy I was able to keep my old table. I would highly recommend Michelle to update your space. 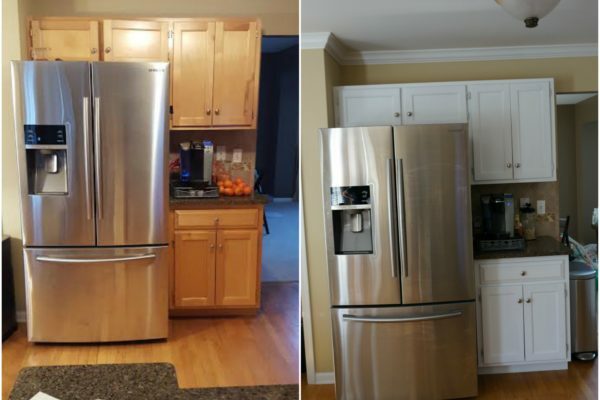 It’s a huge transformation for a fraction of the cost of replacement. What a difference! 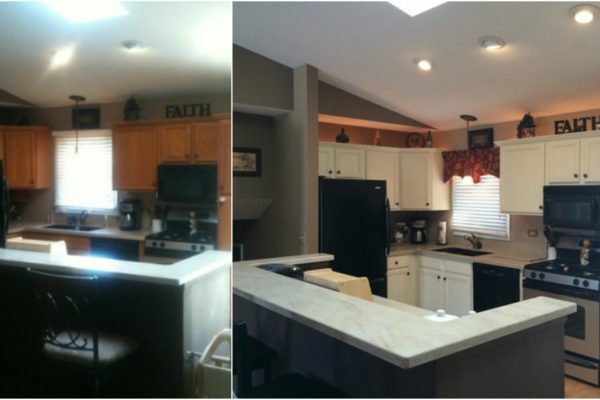 They completely transformed our kitchen and were fabulous to work with. Love how friendly and conscientious they were. Within 5 days we had a ‘brand new’ kitchen. Great people to work with!! 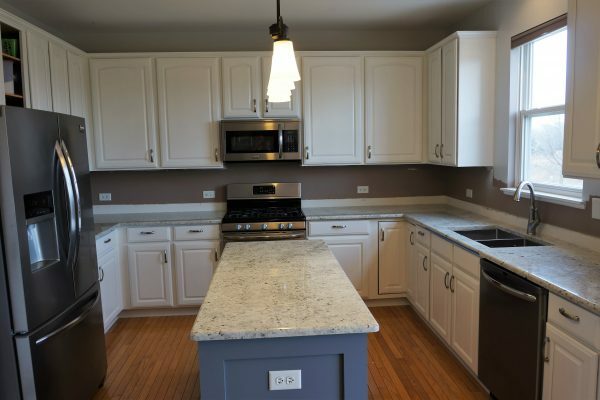 We are getting ready to sell our condo so we had our oak and laminate cabinets painted white in February. It has totally transformed our kitchen and we’ve had many compliments. Michele and her team were organized, thorough, and professional and I would definitely recommend their services. Not to mention that I paid 1/3 of what I was quoted for new cabinets. Great company! Michelle did an amazing job. I love my new light and bright kitchen! 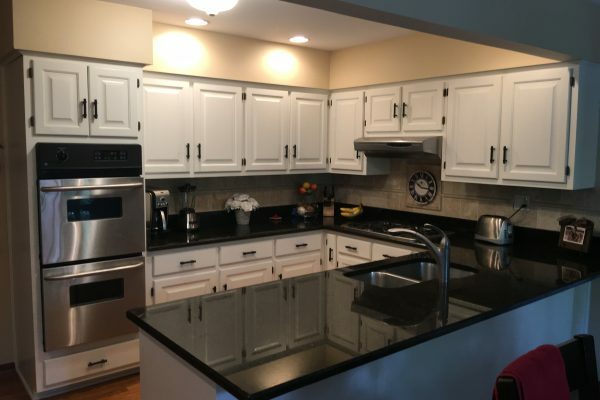 I recently hired Michele to paint my kitchen cabinets white and couldn’t be more pleased with the results. 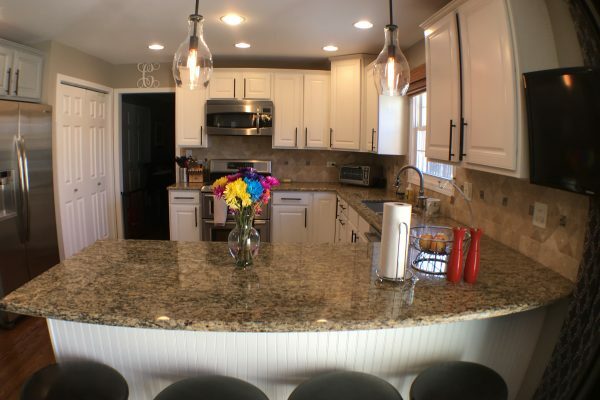 Not only do my cabinets look amazing, but Michele was great to work other. She finished the project ahead of time and had great attention to detail. I also love that she employs local moms to help paint. I definitely recommend Tupelo Lane Designs! Thank you Tupelo Lane for making my kitchen look brand new. 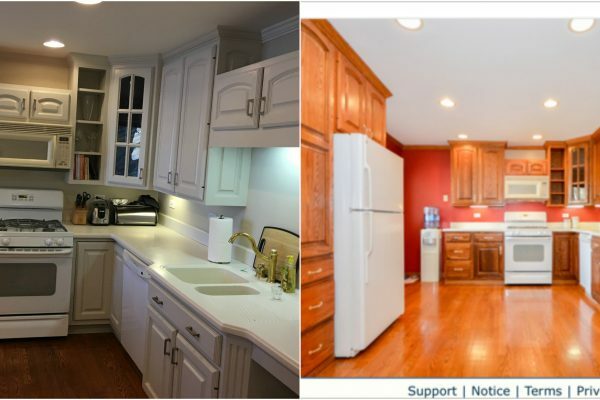 I love the cream cabinets, it got rid of all the wood color and brightened my whole downstairs. It was a great experience working with Michele and her crew. They we neat, timely and the whole project was done in a couple days. 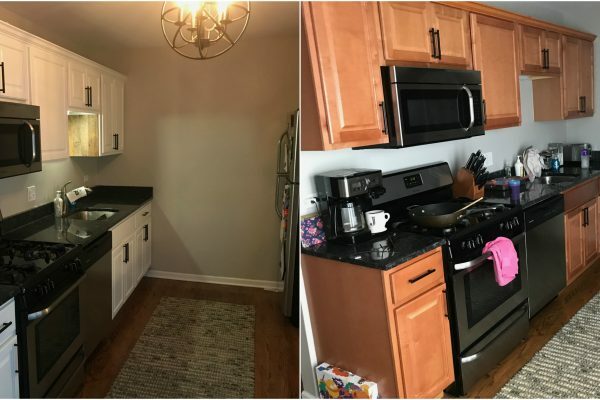 Michelle and her team did an amazing transformation of my kitchen. The cabinets had previously been painted black and I thought for sure I’d have to live with them until we could afford a gut rehab. 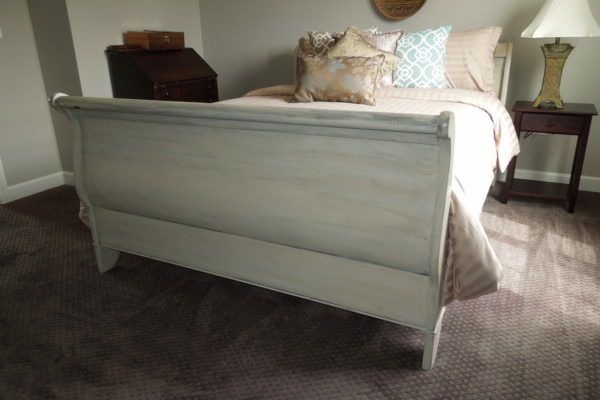 But Michelle agreed to take it on and transformed them to a lovely light gray. My kitchen looks so much bigger and brighter, it’s amazing. Michelle is extremely easy to work with. We had a flooring job going on at the same time and she was patient through many delays of the date and didn’t mind working around the floor guys once she was finally able to start. She sprayed the drawers and doors at her studio while her crew cleaned, lightly sanded, primed and painted the boxes here at my house. 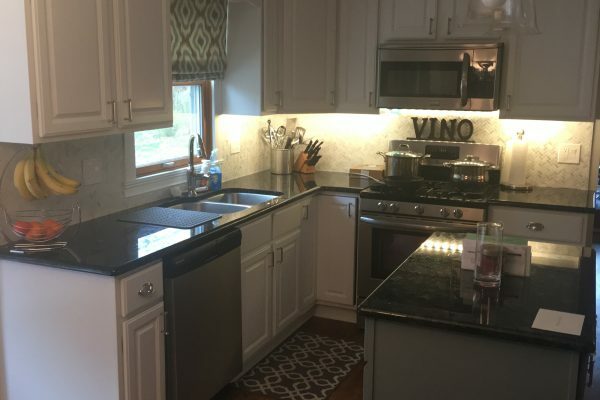 The cabinets were done in the exact amount of time quoted (start to finish about 3 days) and she and her crew did a fabulous job of cleaning up every day (even though our home was basically a construction zone at that point and she really didn’t have to). Michelle takes pride in her work and I would highly recommend Tupelo Lane Designs to anyone. 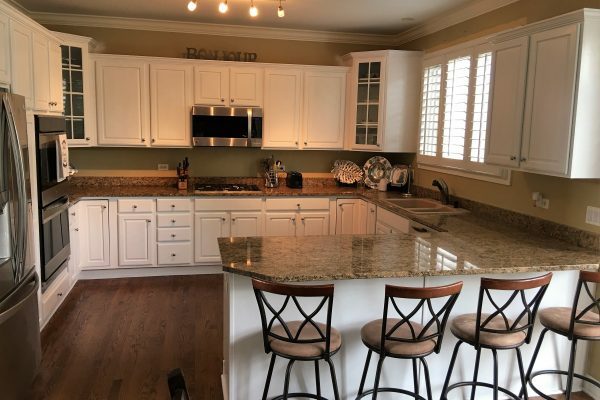 When I say my clients cabinets refinished it was hard to believe there was ever a different finish. AMAZING. Great new logo and LOVE that kitchen in the newsletter! 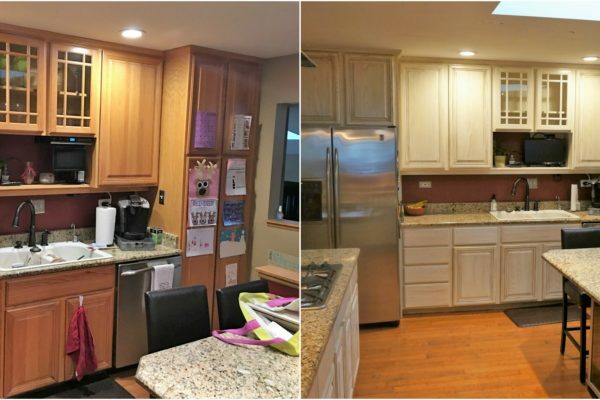 Having a light and bright kitchen is life changing, thank you! Great to work with, very professional and affordable. Perfect results!! Michele was great to work with. She approached the project like a designer, providing advice and ideas. She completed the project within the estimated time frame and exactly on budget. I couldn’t be happier with the results! Michelle is so talented. Love my “new” bedroom set! 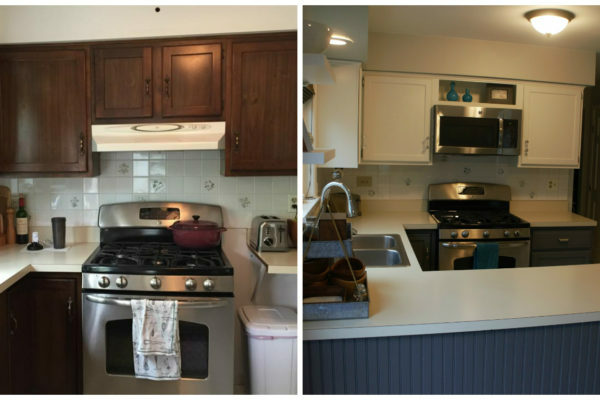 I want to just move into my kitchen – it’s such a huge, fantastic change! Thanks! Thank you so much Michele for helping me paint my banister from ugly brown to a beautiful and sharp white! It changed the whole room! You were so easy to work with, very professional and flexible. I hope to redo my cabinets to match and you will be my only! Look a little time on my vacation and painted my mom’s kitchen in Florida. Of course I used Dove White- it is my second name at the paint store. I went back 9 months later and not a chip to be found. 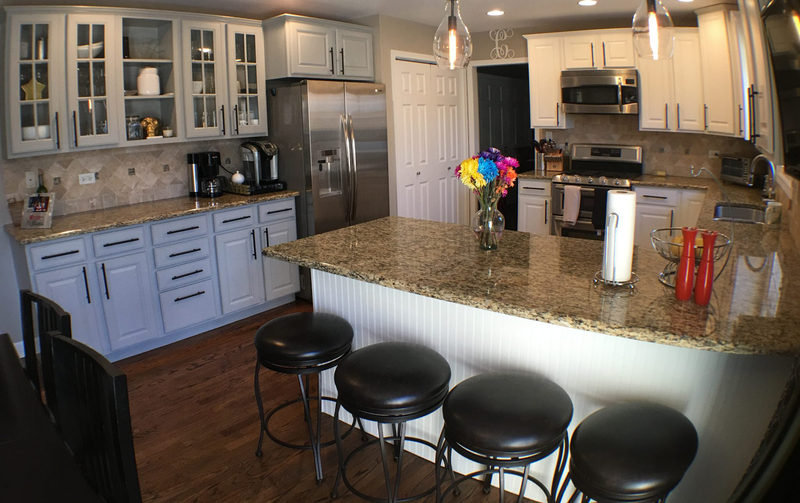 A small refresh really made this kitchen come together as they were preparing for it to hit the market. Adding the door pulls added the polish it needed. Quick update to White Dove to get this townhouse sold. 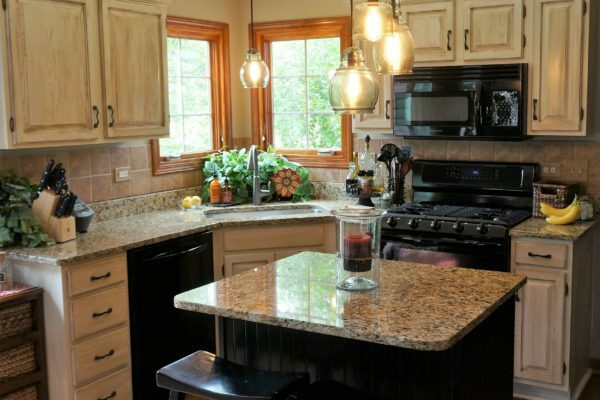 Refinishing your cabinets not only has a high return on investment while raising your home value. It also tells the purchasers that you have take great care of your home. 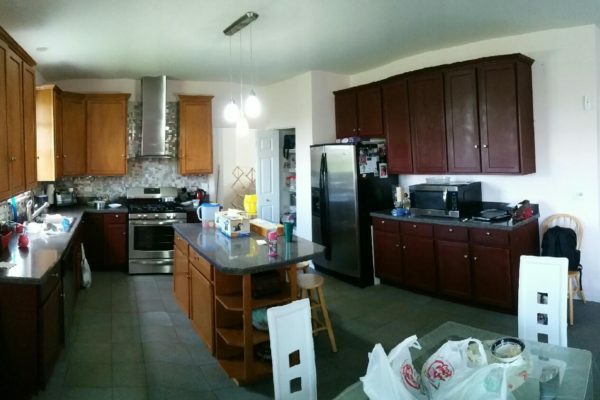 Before they even moved in we were hard at work refinishing the kitchen. Used a fun new color for us Balboa Mist-Southern light is warm and cozy, but could morph a warm grey like ‘Balboa Mist’ into beige. Wish the pictures showed it’s true color better. Golden Oak renewed with a the softest of softest creams- Bavarian Cream. Island updated with trim and finished in Amhurst Grey. The client had us in for a quote even before the ink was dry on the bid. Once the deal was signed, seal and delivered we were back refinishing the kitchen. Love a grey island to add a fun detail to kitchens. You read that right pink pinstriping- we don’t understand either. The previous customer took a little artistic license and used a fluorescent pink sharpie to pinstripe the cabinet doors. While it wasn’t the easiest to get covered we did it. Dove White on the perimeter and Plumet Grey on the island. Wonderful size kitchen with plenty of storage but the client wanted to define some of the areas. This is the part I love- working with color to add interest. The perimeter of the kitchen is finished in Simply White. The Buffet area and the bar are finished in Coventry Grey. 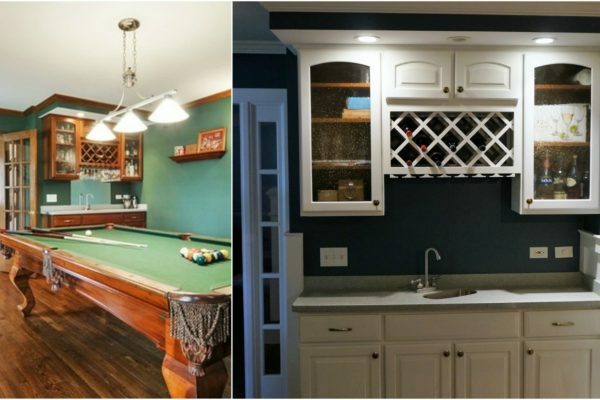 These cabinets were originally built and stained by the owner and his friend. 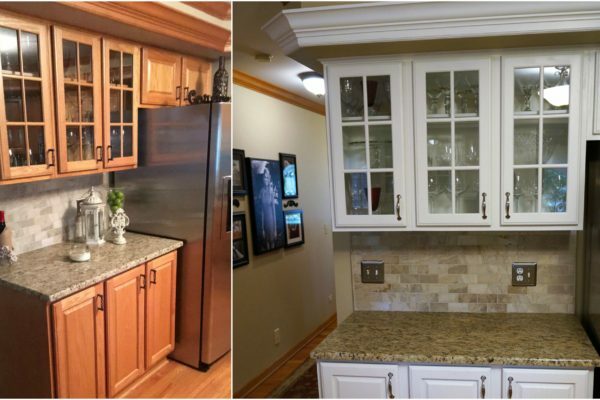 Many years later the cabinets were screaming for a refresh… and that is what we did. We had fun working in this house as it was another clients father in law. Anyone else in the “Hacker” family need an update? The full remodel was almost complete but there was just some thing still missing. 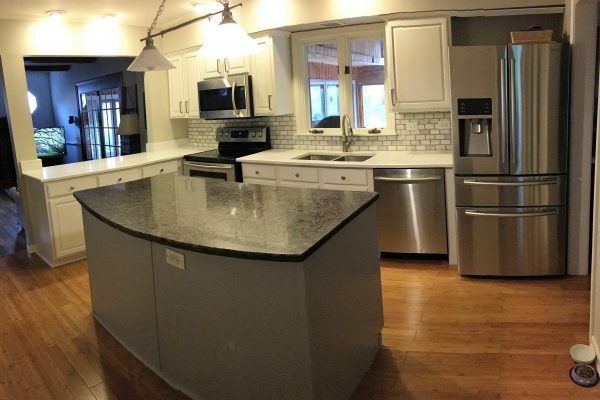 Nikole called us and we added the icing to the cake by refinishing the kitchen in a custom White to match her home. What do you do when your neighbor is getting her kitchen done? Well you call the company doing it and see if they can do yours at the same time. 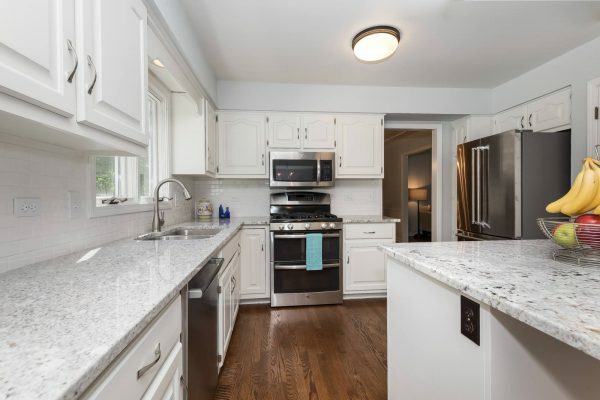 Simply White breathed new life into this kitchen. 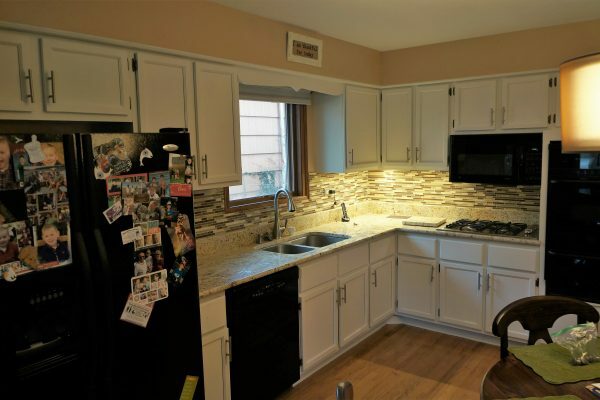 Love helping our neighbors improve their property value and fall in love with their kitchen again. Wedding Veil White covered this kitchen perfectly. It is the softest of white outs. Coventry grey our most favorite grey looks perfect in the bathrooms. This home located in Tall Grass one of our top subdivisions. The client’s realtor was a smart one and called us. 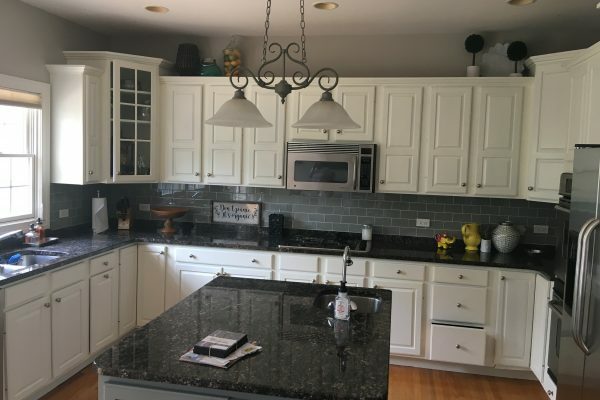 We refinished this kitchen in our best seller Dove White. Didn’t take long for that SOLD sign to show up in his yard. 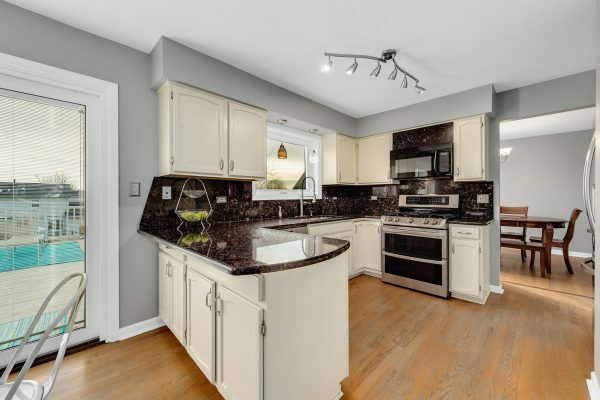 The number one realtor in Brookdale (Ruth Sheehan) had her client give us a call to get a quick kitchen update. White Dove works it’s magic again and this home was sold in no time. From the first contact from this client until we did the kitchen was about a year. But boy was it work the wait. 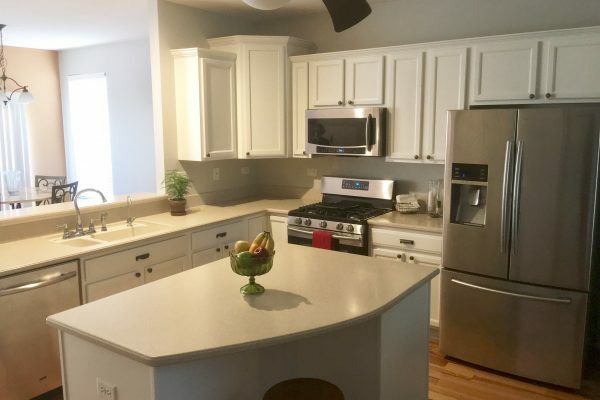 The client added barn wood to the side panels and we white washed then with the same paint we used on the cabinets- you guessed it Dove White. Such a cute transformation. 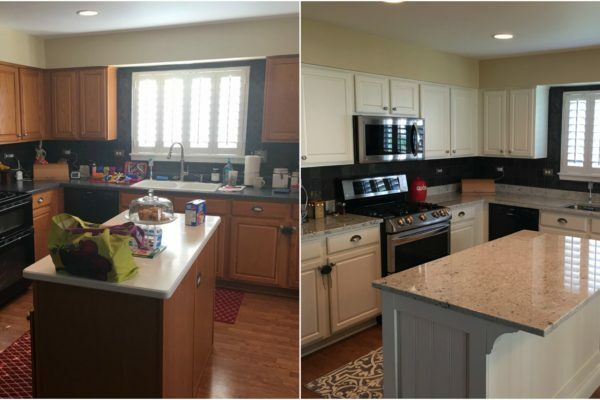 The clients island was black and she wanted a more cohesive look so she called us in to refinish the perimeter cabinets in black. We were a little nervous going in thinking that the black would make the home look smaller. We do not have the original photos for this one. The mid transformation shows one coat of primer. Have to say we now LOVE the idea of black cabinets. SLEEK AND MODERN!! This petite kitchen packs a punch with Dove White cabinets. Client update the back splash and counter top. 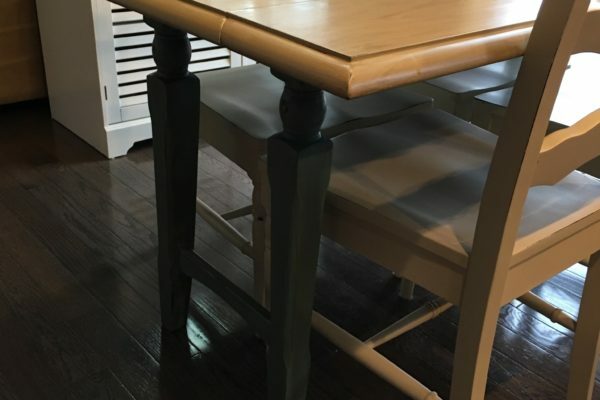 They also took advantage of our Rapid Refinish making the update even more economical. Fun new Ball and Farrow color- Plumet Grey. What an amazing transformation. Look at how amazing each and every cabinets is aligned. Just waiting to get more after pictures with the walls painted Simply White then the cabinets will be show stoppers. We offer a cost saving option called the Rapid Refinish. The client removes and rehangs doors and drawers per Tupelo Lane Designs direction and they receive a discount. 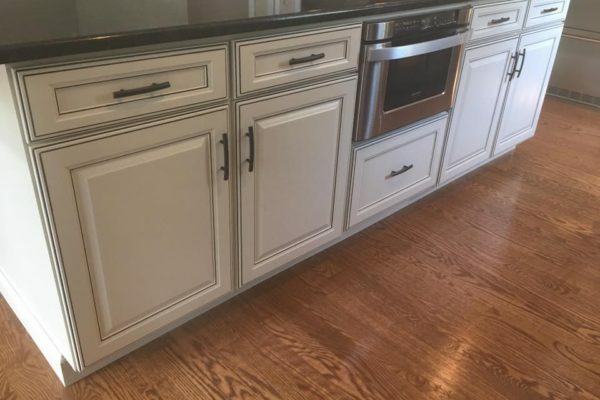 Great option for the DIYer who is nervous to paint their cabinets (and they should be) but wants to be part of the process and save a little money. We finally got to work in a house with shiplap. While it was only in the pantry area it still made a statement. We also were able to give the island a little “pop” of grey. This kitchen sure packs a punch. Looks like an average size kitchen right? Let me tell you there were about 100 doors/drawers- ok slight exaggeration. 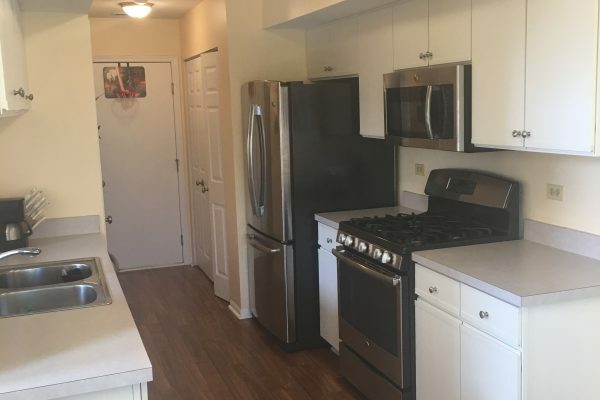 This kitchen really holds a lot. This White Out with the famous Dove White really brings new life to this kitchen. Customer left for vacation and we worked tirelessly to get this update finished before they returned. We cut it close but everything was up and refinished when they returned. Cabinets finished in Antique white. Cloud white turned this kitchen into a dream. We also did the bathroom in this home and another neighbors kitchen. We love working in Ashbury subdivision. What do you do when you’ve moved out of your house to build a second addition? Well, this client decided to update their kitchen while they were at it. 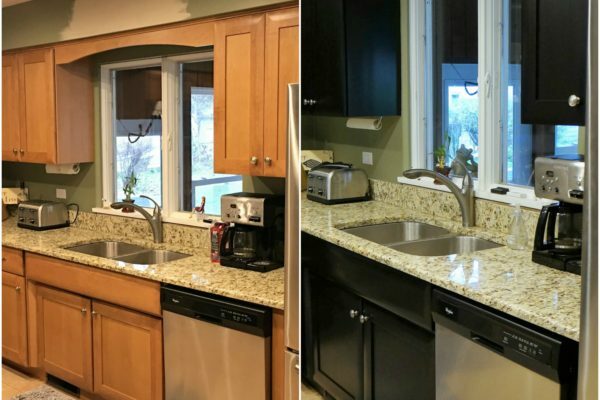 The cabinets were finished in a warm Bavarian Cream that gives a beautiful richness to this update. 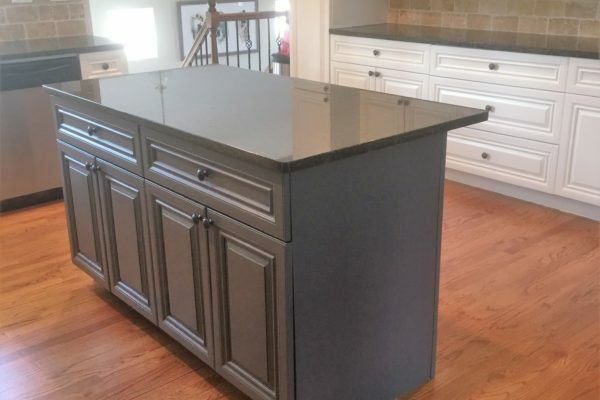 We partnered with DuKane Remodeling to rebuild this kitchen island. The customer wanted to move and expand it. We finished it in Moon Gaze then added a Van Duke glaze with heavy pinstripes to the doors to accent the details. Tired bar transformed to a cool martini bar with a subtle gray- Classic gray. Client wanted to add a little more upscale finishes to her bathroom. We applied a Java gel stain and top coated with 3 coats of high performance. Not a week later the clients children drew on the vanity with a marker. She called me in a panic. She used a little dawn dish soap and water and it cleaned up in a minute. Vanity painted in Cloud White for a quick and cute update. So fresh and crisp. What a wonderful fresh update. Kitchen finished in Fieldstone Grey. The perfect grey with just a bit of green undertone. Nice warm grey without feeling too sterile. 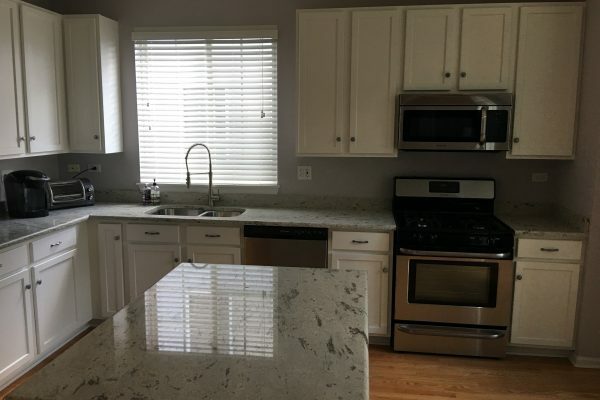 Client also upgrade the counter tops and backsplash by the sink. 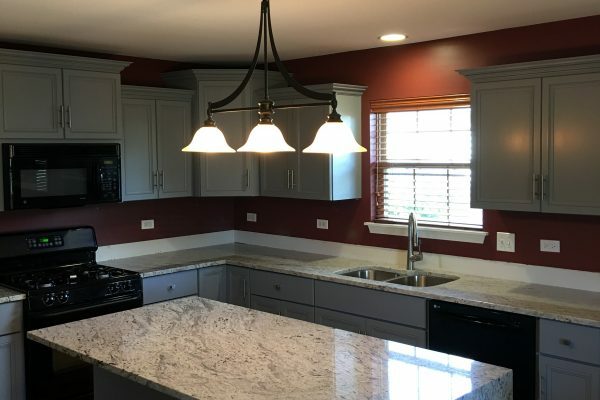 Wainscoting and corbels added to the island provided for an instant upgrade. Next Tupelo Lane Designs came in and we painted the kitchen in beautiful Linen White to lighten and brighten the kitchen. 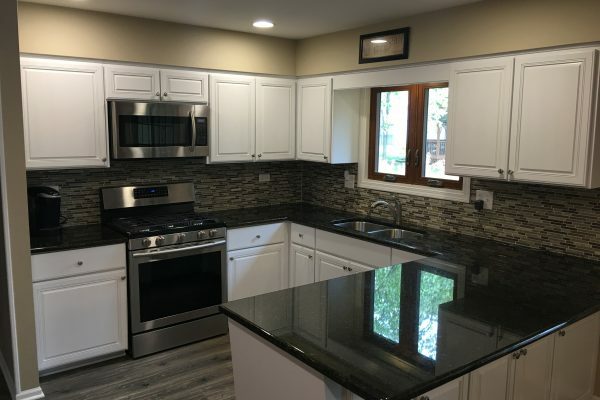 Lastly the client purchased new appliances and a new counter with extended island. 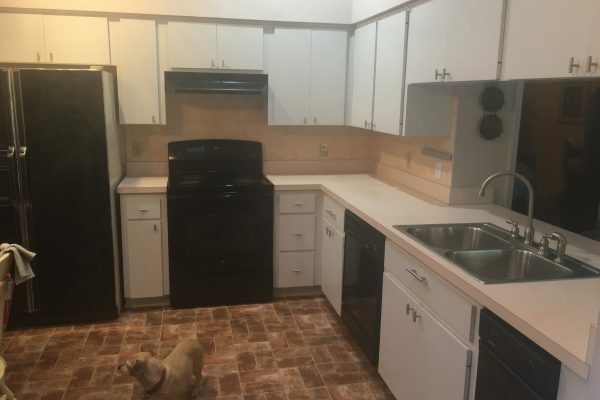 Why buy new cabinets when you can do all the above for 1/3 the cost. 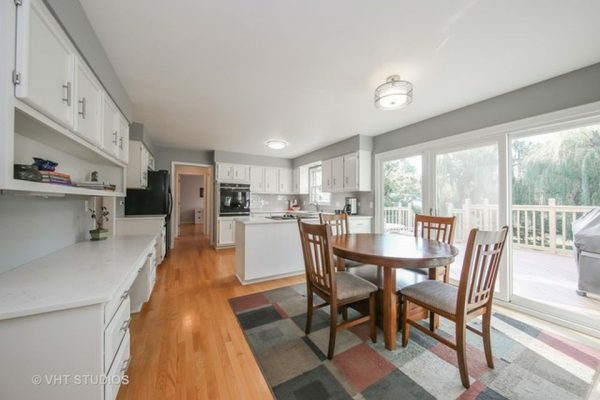 The previous owner had painted the cabinets a few times. 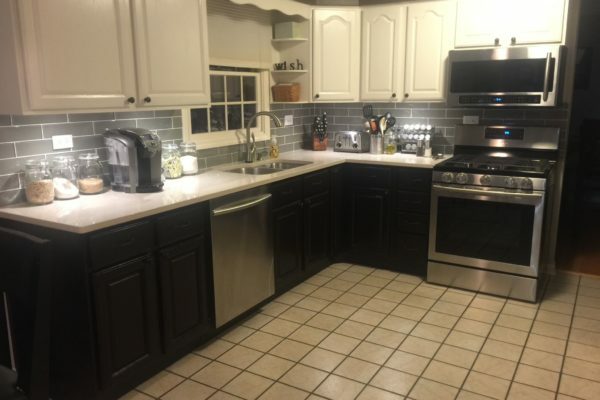 The current owner wanted dark floors so the dark cabinets would no longer work. 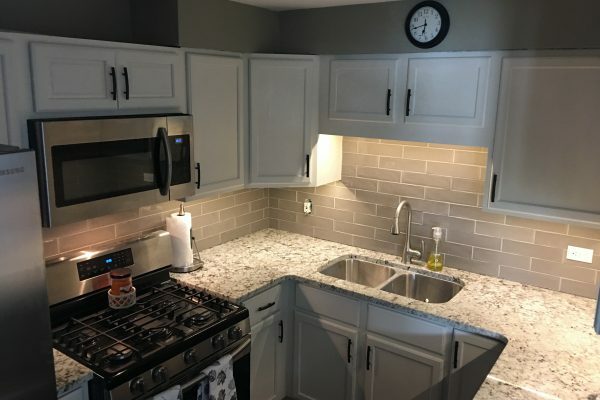 TLD came in and added a fresh coat of paint to bring the cabinets to a beautiful white to accent the dark wood tile flooring. 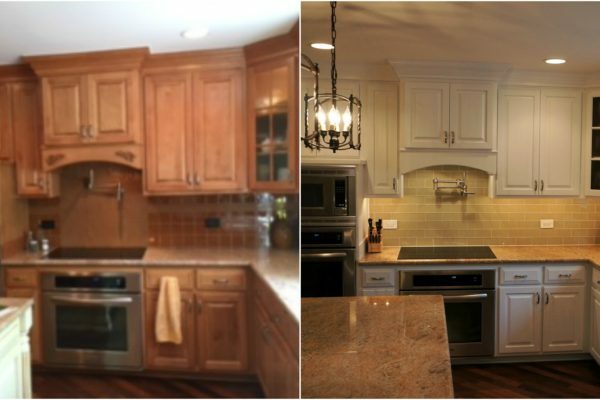 This client wanted to update her orangey oak cabinets to creamy white but change makes her a little nervous. We walked her along the way each step and eased her mind. 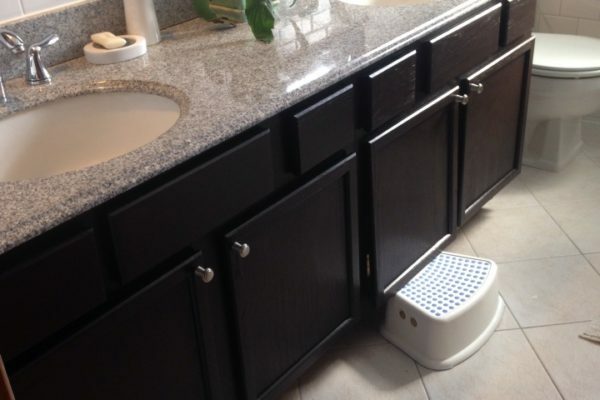 She was so happy she made the move to modernize her kitchen she even did her bath vanity. Our client contacted us with an inspiration photo and we ran from there. 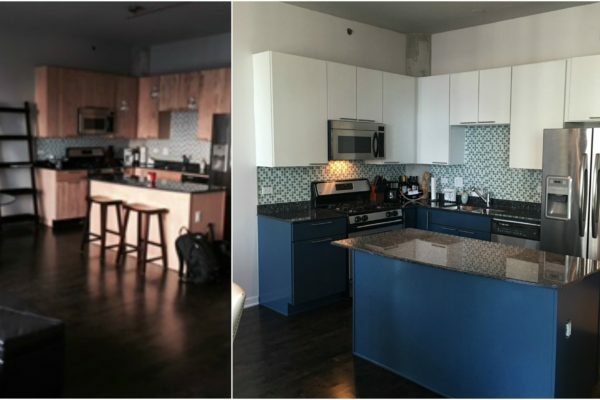 Napoleon Blue with a medium glaze completely transformed this kitchen. One of my all time favorites. New flooring, counter tops and back splash add to the update. We were so excited to play with glaze for this kitchen. The depth that glaze adds is so fun and then the black island helps to ground everything. We also did this clients laundry room and bathroom. This client contacted us before they even closed on their home. 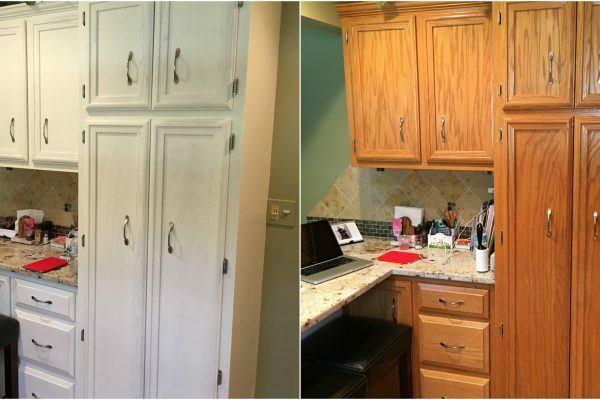 They had lots of pressure from their parents not to paint the wood cabinets. She almost backed out. So glad they stuck to their guns. This kitchen turned into one of our favorite ever. When their realtors stop by a month later they were in awe. They said it was hard to believe the cabinets were ever any other finish. 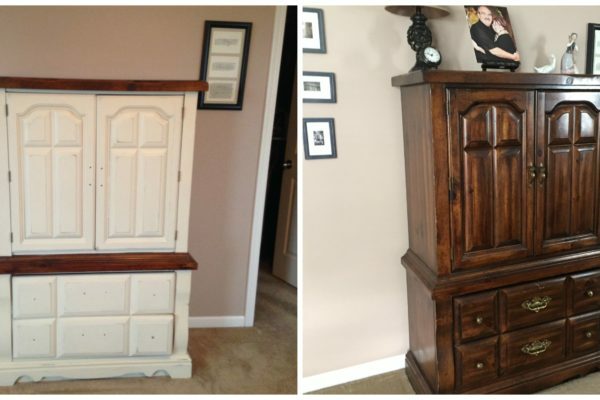 Pressed wood “cherry like” cabinets transformed with dove white in semi gloss. Perfect modern update for this young couple and new baby. 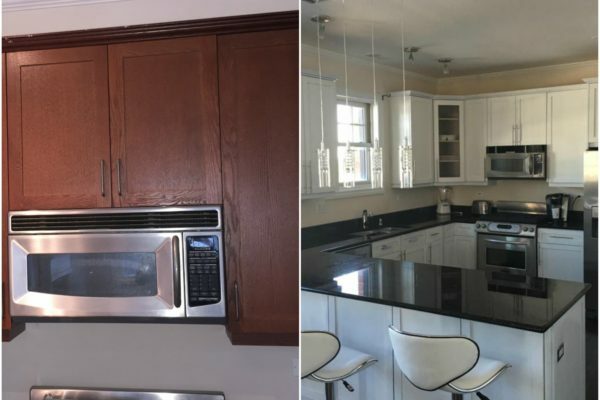 This kitchen had already had many updates – glass front doors, new counter top, new back splash but still was not exactly how the client envisioned it. 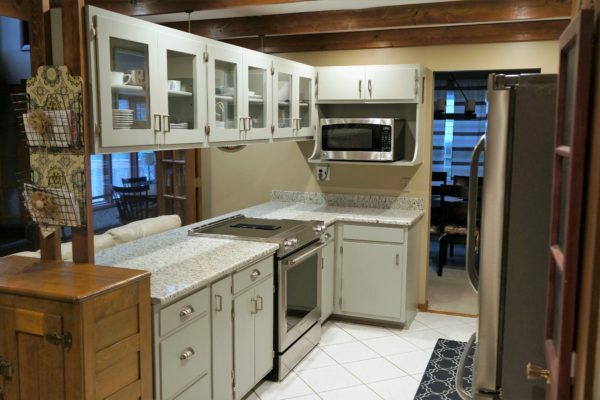 The cabinets were beautiful heavy grained oak that was an upgrade when building the home. The client chose a pretty rich Cloud White to finish her cabinets in. WOW- this updated really pops in her home. We also refinished a bathroom vanity. The client is also bidding on gift certificate I donated to her charity. Hope she win’s so much fun! Clients kitchen is the first thing you see when you walk in the home. 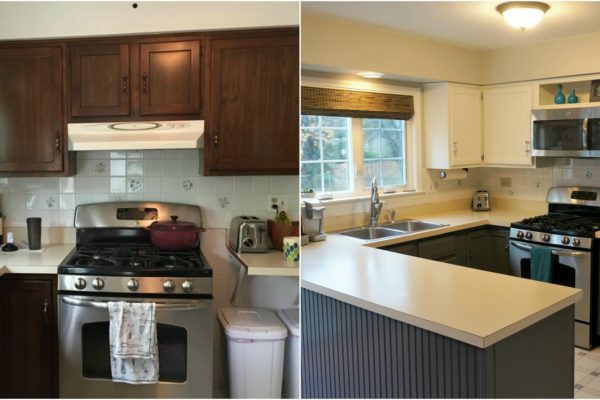 They were about to put the house on the market and wanted the kitchen to make an impact. We finished the kitchen in Antique White- nice and warm welcoming color. Just a few changes can make a world of difference. 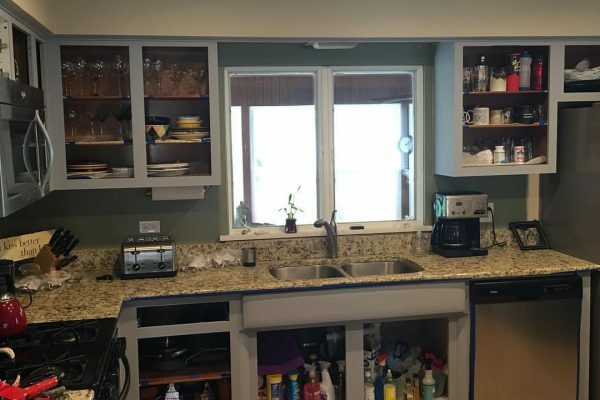 Our customer removed a cabinet near the window and added open shelving. 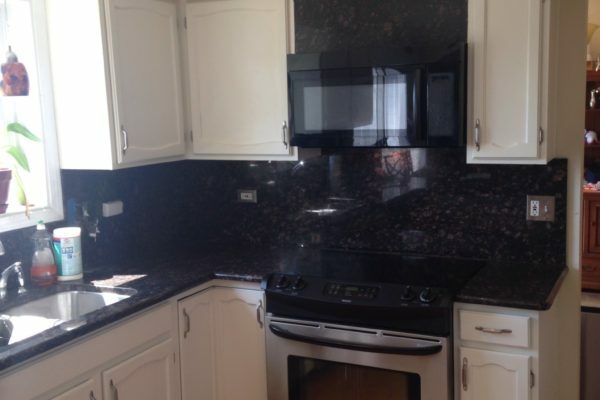 Additionally, they removed the cabinet doors above the stove to add a builtin microwave. 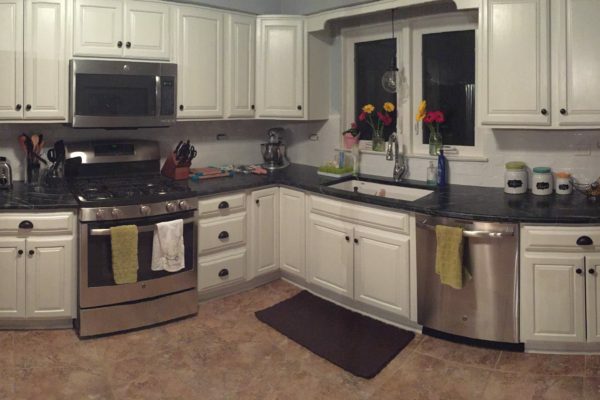 To finish off this refresh we painted the upper cabinets in White Done and finished the bottom in Kendall Grey. What a fun project. Love an excuse to go into Chicago. The view of lake Michigan was a bonus for this update. Spent time with this customer working on color ideas on how to add some spice to her condo. We decided on Milkshake White for the perimeter cabinets and Midnight Blue on the island and base cabinets. I first heard from this customer before they even closed on the house. They had a plan of all the updates they wanted to do before moving in. Kitchen, bar and bath were on the list for us. Kitchen was finished in Simply White. Bar and bathroom finished in Coventry Grey. (not shown here). Love the counter and back splash they also updated. How could we forget the amazing lighting upgrade. Sometimes all you need is a beautiful coat of Decorators White to liven up a tired kitchen. 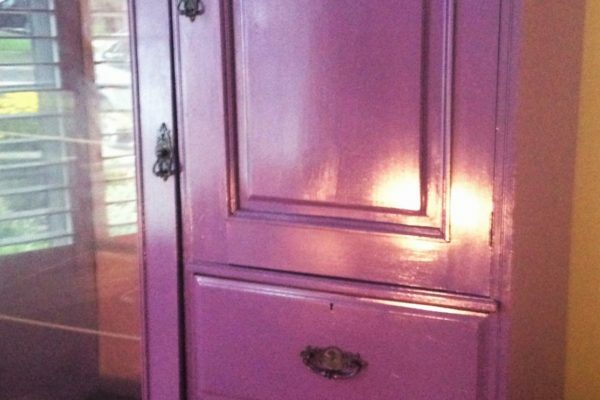 Fun Violet use to bring this hutch back to life finished in high gloss. Looks great in the home of our client that LOVES color. 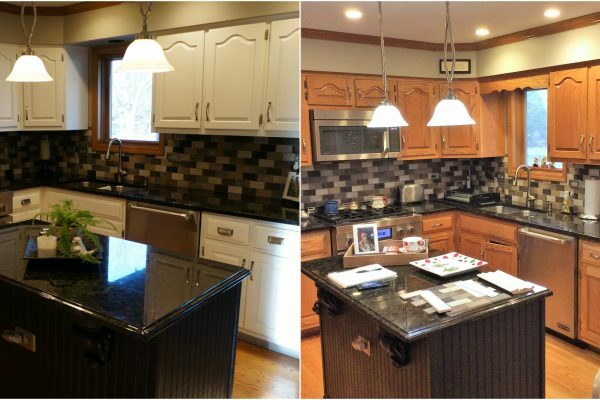 This client had attempted to paint their kitchen themselves with a kit that they purchased from a big box store. After they showed their family and they were not impressed they called Tupelo Lane Designs. After lots of sanding we finished the cabinets in Classic Grey. No more perfect light grey. Looks almost white unless you hold white to it to contrast. Perfect for someone who wants color but it afraid. The perimeter cabinets were finished in Wedding Veil White and the island and desk area finished in Coventry Grey. 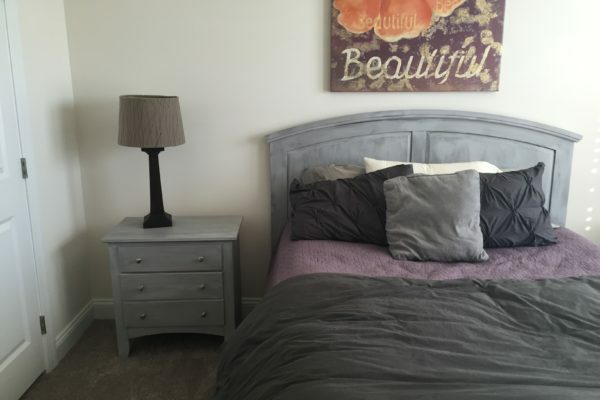 Coventry Grey is the perfect grey with neutral undertones works with all greys, whites and beige. Great example of how 2 different techniques can be used in a kitchen to great a little drama yet remain classic. Cabinets uppers are painted in White Dove bottom cabinets are finished in Java gel stain. Tell us what you think Tuesday. No tears and automatically measured or just another thing to clean. Tell is what you think in the comments. Flash Back Friday- Love this "tuxedo" kitchen. Tell us what you think below. We are a local Naperville business that employs working parents-primarily "moms". Our eye for detail is unmatched. Our mutli-tasking skills will make your head spin. We finish most kitchens in 3-5 days working less than 6 hours a day. We arrive after the morning rush and are gone before the afternoon/evening chaos. bi-monthly. We provide quality information regarding current trends, how to ideas and our latest projects. We promise not to flood your email with useless information. © 2018 Tupelo Lane Designs. Website Revamped By OrangeSpike Inc.